A quick but intense all over workout, incorporating plyometric exercises. A quick, no exercise circuit that can be done anytime, anywhere and three sets completed in as little as 15mins. A simple CV workout, achievable for anyone with good conditioning..
A quick and easy circuit that can be done anytime, anywhere and two sets completed in as little as 15mins. A simple bodyweight core circuit, suitable for all levels, builds strength throughout the core in all movement planes. A fabulous trunk workout that draws in the lower and upper body and lots of balance work, this is suitable for everyone. Training with the TRX is really versatile as you can rig it up inside or out. I like to run with mine to the beach, then throw it round a railing and whiz through an all over conditioning workout. Run, strength, run! A great holistic free-weight workout. Targets the whole body in a short, sharp hit. Training with ketttlebells is really flexile and relatively transportable. With just two equal wights you can use them together to work the larger, lower body muscles or individually to work smaller muscles of the upper body. Keep your muscles as pliable as possible by incorporating these easy stretches into your cool down of every upper body workout. These stretches can be done anytime, anyplace and are great for general conditioning and flexibility, so do them daily when you get out of the shower! Keep your muscles as pliable as possible by incorporating these easy stretches into your cool down of every lower body workout. These stretches can be done anytime, anyplace and are great for general conditioning, so do them daily when you get out of the shower! A great exercise leg workout for those progressing from bodyweight to weighted exercise and to more work on reduced base of support. Using bodyweight and kettle bells, this workout can be done anywhere with minimal equipment. A great introduction to exercise for new-comers or those starting back after injury, pregnancy etc. Using simply body weight and therabands, you can do this anywhere with equipment that fits in the palm of your hand. Building on the beginner workout - now we’re into more complex, integrated movement patterns with added weight - though all can be adapted to use only bodyweight. You may need a bit more rest if adding the weight, so expect this to take 20-30 minutes - four times a week is a great plan. With these compound exercises, we start reducing your base of support e.g. 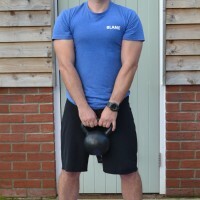 performing an exercise on one leg or pushing off with one hand. Its a super way to take your workouts to the next level and can be completed with as much or little weight as you need. Mixed with some cardio, 30 mins of this - three times per week, and you’ll see the difference. A simple CV workout, achievable for anyone with good conditioning. Can be done anytime, anywhere and two sets completed in as little as 15mins. A simple bodyweight core circuit. Can be done anytime, anywhere and two sets completed in as little as 15mins. A fabulous TRX workout targeting the trunk primarily and also upper body. Can be done inside or out and two sets completed in as little as 20mins. A great holistic free-weight workout. Targets the whole body in a short, sharp hit. Taking only about 30 mins, this is great to do on alternate days, mixed up with some cardio, endurance exercise or other strength, power work. Six straightforward stretches for the upper body and trunk attachments that should be completed every time you strength or cardio train your upper half. Six straightforward stretches for the glutes and legs that should be completed every time you strength or cardio train your lower half. A great, relatively simple lower body workout to complete three times per week. Incorporating a mixture of bodyweight and kettle bell weight exercises. Can be completed in as little as 20 minutes, make sure you have c. 90secs rest between sets. Building on the beginner workout - now we’re into more complex, integrated movement patterns with added weight - though all can be adapted to use only bodyweight. You may need a bit more rest if adding the weight, so expect this to take 20-30 minutes - four times a week is a great plan. With these compound exercises, we start reducing your base of support e.g. performing an exercise on one leg or pushing off with one hand. Its a super way to take your workouts to the next level and can be completed with as much or little weight as you need. Mixed with some cardio, 30 mins of this - three times per week, and you’ll see the difference. Want your own personal workout?